Grand Idea Studio JTAGulator product page (Product brief, schematics, bill-of-materials, assembly drawing, etc.). 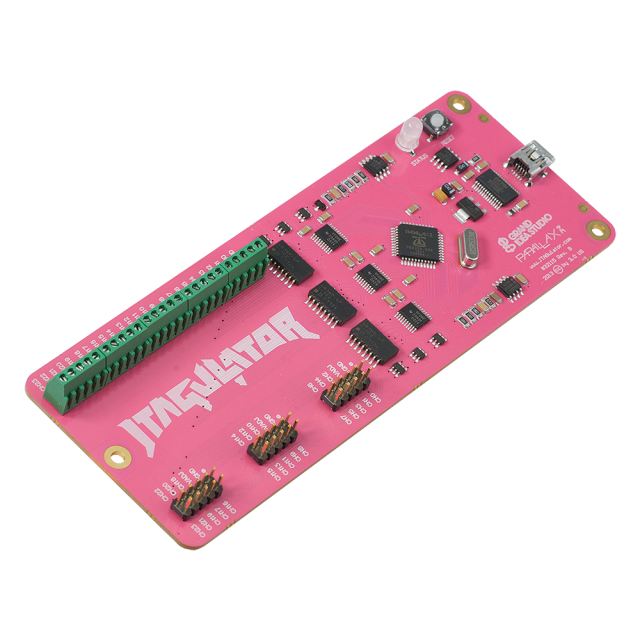 JTAGulator: Assisted Discovery of On-Chip Debug Interfaces slide presentation. EEVblog #499: What is JTAG and Boundary Scan. Joe Grand's JTAGulator presentation at DerbyCon 2013. 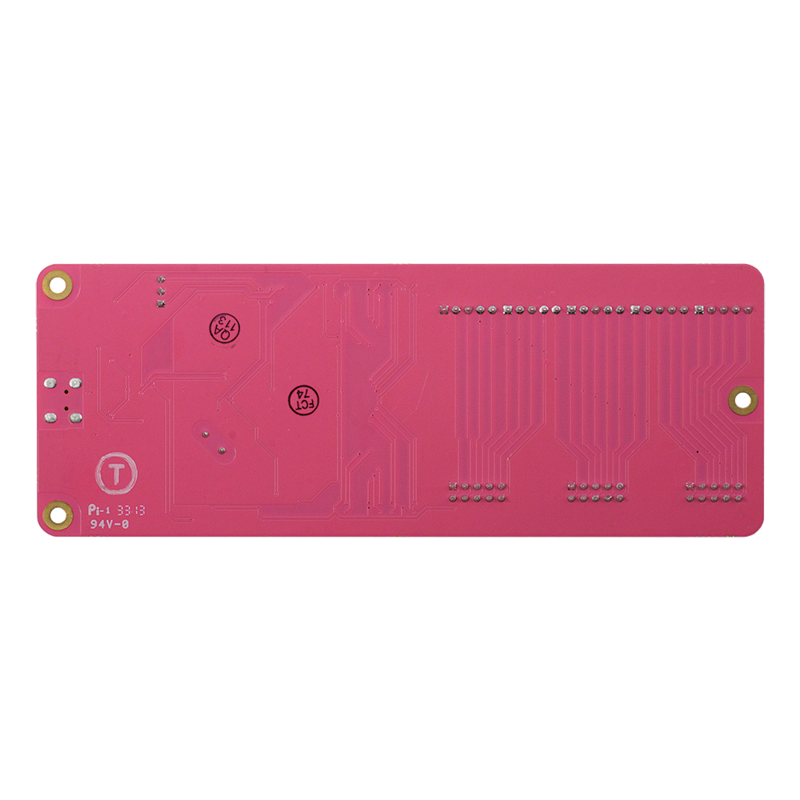 What is JTAG and why use it? 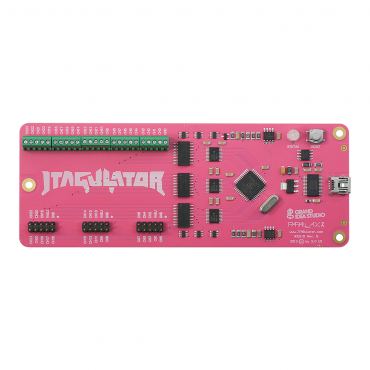 Designed by Grand Idea Studio, JTAGulator is an open source hardware tool that assists in identifying OCD connections from test points, vias, or component pads on a target device. 24 I/O channels with input protection circuitry. Adjustable target voltage: 1.2 V to 3.3 V.
Supported target interfaces (as of firmware v1.1): JTAG/IEEE 1149.1, UART/asynchronous serial. USB interface for direct connection to host computer (PC, Macintosh, or *nix). NOTES: Proper use of this tool requires basic electronics knowledge. To avoid damage to the JTAGulator or target circuitry, please take care to ensure the proper target voltage level is set. Some on-chip debug interfaces may not be detectable if password protection or other security mechanisms are implemented.